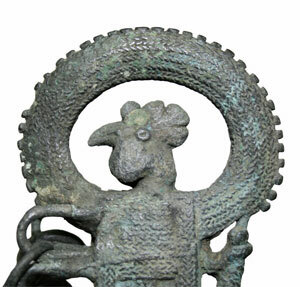 We offer a unique selection of Ancient Chinese bronze and other “curious collectibles”. Using our worldwide network of dealers, scholars and collectors, we can often locate hard-to-find and one-of-a-kind objects. Feel free to contact us with your needs. We also offer a wide range of services, including the authentication of ancient bronze and documentation of items in your collection. Our services are tailored to the clients needs and budget and our prices are very competitive. Specializing in bronze age antiquities, such as weapons, pottery, tomb figures, and objects of interest. Visit our services page to get more detail. © Copyright Priceless Past. All Rights Reserved.